"..I don't think anyone is supposed to have all the answers. But you can count on your friends... to help you find them..."
"..A loyal friend with a good heart, Sunset Shimmer is always looking out for what’s best for the Rainbooms. She made some mistakes in the past, but now she wants to prove to everyone they can trust her..."
Sunset Shimmer was a former pupil of Celestia and a magical prodigy. However unlike Twilight she valued ambition and power instead of friendship, after many troubles she finally began her path to redemption in human world. Despite people's hatred toward her she managed to overcome those feeling and is now crucial part or Rainbooms and Mane 6 in human world. A loyal friend with a good heart, Sunset Shimmer is always looking out for what’s best for the Rainbooms. She made some mistakes in the past, but now she wants to prove to everyone they can trust her. "..Ambition was what I belived would be the only way to set me free.."
Sunset Shimmer is one of many examples of redempted characters in fiction. She began as a power hungry, ambitious and dishonest person that would do anything to achieve her goal beliving that it's the only way to achieve freedom and happines . It was Twilight Sparkle and human counterpart of Mane 6 that changed everything. After experiencing the magic of friendship Sunset became much more kind and modest. Her confidence and genius level intellect remain but thanks to her past mistakes she perfectly understand suffering and insecurities of others, be it human or pony. Thanks to that unique ability she most likely became the element of empathy in human world. "Sunset Shimmer is one of the most promising students at Princess Celestia's school for gifted unicorns. Her cutie mark is a shimmering sun." An incredible showing of raw magical power. It's worth noting that Celestia instantly recognized that only one student could possess this much magical power. Other than that she can use offensive beams, pyrokinesis and magical barries aswell as endless variety of other magical spells. It's fair to assume that she can easily replicate common Twilight and Starlight feats but I would advice to refrain from using any high end feats since we lack informations on Sunset's magic in Equestria. It might be stronger but it also might be weaker, untill she appears in main series it will remain a mystery. As seen above recently color of her magic changed to red. "... A demon, I turned into a raging she-demon.."
"..Let me show you there's another way. Just like someone once did for me..."
"..When I touched your hand, I could see things. I could understand why you were leaving. ."
"..You just have to memorize the formulas and the reactions and the periodic table and all the elements, and be able to predict reactions, and check your answers, and do all the math without making a mistake. 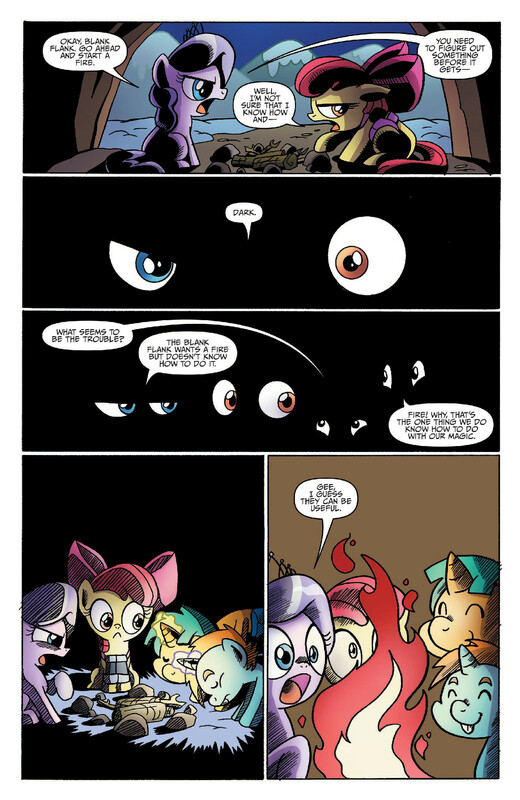 That's all..."
During her time as Celestia's pupil, Shimmer preferred studying over spending time with friends. Despite her change of heart she remained incredibly intelligence and much like Twilight displayed sufficent of level intellect to build advanced machines and effortlessly best any student in her school when it comes to knowledge and intelligence. During Friendship Games Sunset was presented as only shade less intelligent than Sci-Twi who is a teenage genius. On the picutre in Accord's room. Celestia's book name is: "Progress of Sunset Shimmer"
Both Twilight and Celestia mention Sunset later on in the series.